Northeastern University is a private coeducational research university in Boston, Massachusetts with an undergraduate enrollment of 12,838 and a campus spanning 73 acres. Founded in 1898, Northeastern describes itself as a leader in interdisciplinary research, urban engagement and the integration of classroom learning with real-world experience. At Northeastern University, energy consumption has a significant impact on both financial and environmental interests. Energy efficient buildings save money, are more comfortable and contribute to a more effective learning environment. 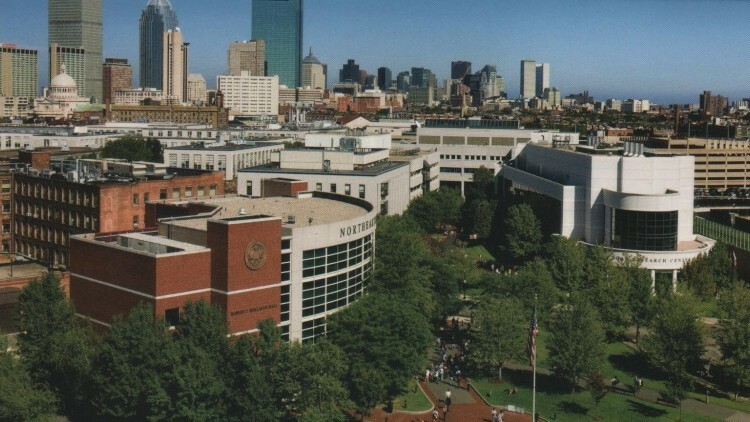 When looking to make changes to their complex and dynamic campus, Northeastern turned to BCM Controls for a comprehensive energy strategy. BCM Controls designed and implemented an extensive Energy Conservation strategy for Dodge Hall aimed at lowering operating cost, reducing the stress on mechanical equipment and improving indoor comfort. These Energy Conservation Measures (ECMs) were applied to the current chiller, cooling tower, hot water pumps (steam heat exchanger), air handling units and air distribution terminals. CO2 sensors were installed to limit ventilation energy use only when room conditions required it. If only one occupant is in the room, minimal ventilation is required. Add 20-30 more occupants and CO2 levels will rise quickly. CO2 sensors enable the control system to reset variable air volume (VAV terminals) and the outside air dampers on air handling units to minimum positions to satisfy CO2 demands. Occupancy sensors were also installed enabling the control system to set VAV terminals to minimum air volume during unoccupied times. Variable Frequency Drives (VFDs) were installed on the pumps which supply hot water to terminal reheat coils. Instead of pumping a constant volume of water, the volume is now reset through the control system based on the quantity of reheat valves in use as well as outside air temperature. A similar approach was used in regards to chilled water usage. Through control system algorithms the volume of chilled water utilized in the building is now precisely matched to the position and quantity of air handling unit chilled water valves. In addition, air handling unit discharge temperatures and static pressures are now reset based on outside air temperature and building occupancy. Finally, algorithms were implemented to reset the condenser water temperature based on outside air enthalpy and chiller demand. The condenser water temperature reduction then reduces cooling tower fan usage, thereby reducing overall chiller plant energy consumption. Through the implementation of these Energy Conservation Measures, Northeastern University has realized a 13.89% decrease in energy consumption over the previous year. This demonstrated success has propelled Northeastern to invite BCM to expand this concept throughout the campus. BCM is proud that these efforts helped contribute to Northeastern ranking number two on the UI Green Metric Ranking of World Universities and as one of the top 15 "Green Colleges" in the nation in the 2011 Princeton Review.